The Brazilian community invites you to one of their biggest celebrations. 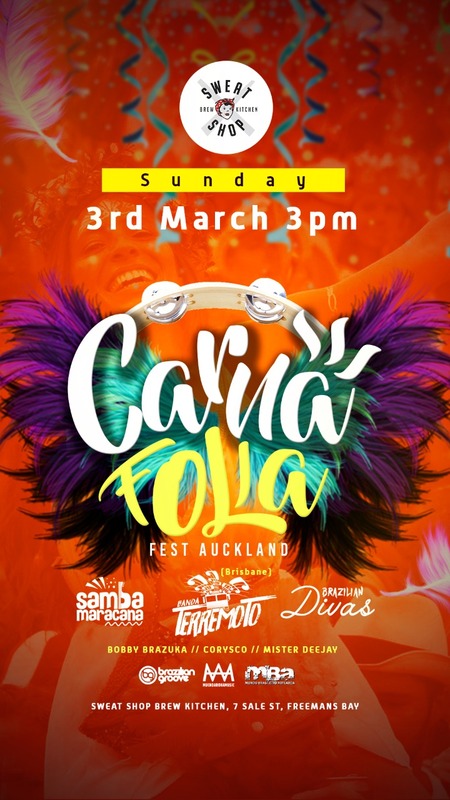 Carnaval will bring the colours, music, dance and great vibes of Brazil to the heart of Auckland for the 15th year in a roll. Banda Terremoto bringing the best of Samba and other Brazilian music genres all the way from Brisbane. Together with Samba Maracanã, Djs Bobby Brazuka, Corysco and Mr Dj.